Lagos, Monday, November 26, 2018: Media Rights Agenda (MRA) today inducted the Lagos University Teaching Hospital (LUTH) into its “Freedom of Information (FOI) Hall of Shame” for undermining the right to information in Nigeria guaranteed by the FOI Act, evidenced by its non-compliance with almost all aspects of the Law over the last seven years. In a statement in Lagos announcing the induction of LUTH into the FOI Hall of Shame, Mr. John Gbadamosi, MRA’s Programme Officer, accused the institution of failing to comply with its duties and obligations under the FOI Act, including the most simple and straightforward aspects of the Law, saying its failure to fully implement the provisions of the Act amounted to contemptuous disregard for the Law. LUTH was established in 1962 to provide Nigerians with an all-inclusive medical care. It is regarded as a leading health care provider in the country. Its management claims that it is today the largest teaching hospital in Nigeria, with a College of Medicine at the University of Lagos, training of hundreds of medical, dental, pharmaceutical and other science students, which makes it a public institution that is of major significance, particularly in the health sector. He noted that from the information available on its website, LUTH has not fully complied with its obligations under the Law to proactively publish 16 categories of information, as the institution could be said to have complied with only one out the 16 categories of information that it is required to proactively publish under Section 2(3) of the Act. In addition, Mr. Gbadamosi said, there is no indication whatsoever that the institution has designated an FOI Desk Officer to whom requests for information should be sent as it has not proactively published the title and address of the officer, as required by the FOI Act and the Implementation Guidelines for the Act issued by the Attorney-General of the Federation. He added that this information is also not available on the institution’s website. 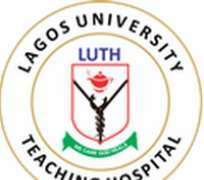 According to him, LUTH has also failed to comply with its obligation under Section 29 of the Act, which mandates every public institution to submit to the Attorney-General of the Federation, on or before February 1 of each year, a report covering the preceding fiscal year of its implementation of the Act. He noted that records available from the Office of the Attorney General of the Federation show that since 2011, the LUTH has submitted just one implementation report out of the seven such reports that it should have submitted as at February 1, 2018, demonstrating a high level of disregard for the Law. MRA launched the “FOI Hall of Shame” in 2017 to draw attention to public officials and institutions that are undermining the effectiveness of the FOI Act through their actions, inactions, utterances and decisions.